No matter what type of business you’re in, if you have an HP Color LaserJet 3800 printer in your office, you know you can count on getting quality results. This model offers impressive print speeds of up to 22 pages per minute in both monochrome and color, as well as a consistent resolution of 600 dots per inch (dpi). The printer tray can accommodate up to 350 pages, but you can choose an expansion tray that has an 850-sheet capacity. 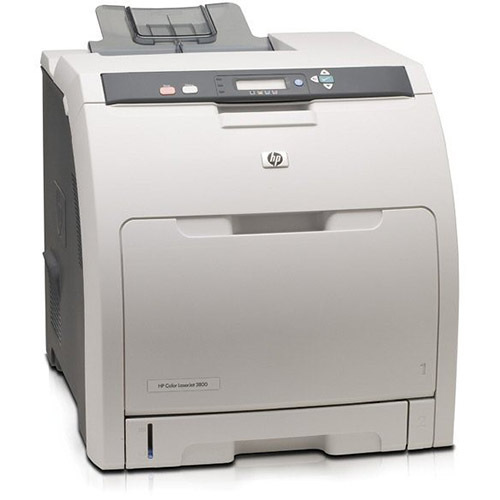 Your whole office trusts your laser printer to produce the print work you need, but buying toner for HP LaserJet 3800 printers can quickly drain any small business’s budget. If original equipment manufacturer (OEM) toner prices are hurting your bottom line, 1ink.com can help. Our remanufactured HP toner produces the same results as OEM products. You’ll get the same incredible print quality and the same performance, without any risk of smearing or other print blemishes. Don’t settle for inferior toner just because OEM prices are too high; try 1ink.com risk-free and see how our remanufactured toner can help your business!